#10MillionStrong UHURU MUST GO!! that was the slogan at Jacaranda as Odinga promises low cost of living. - Bana Kenya News, Real African Network Tubanane. Home featured News #10MillionStrong UHURU MUST GO!! that was the slogan at Jacaranda as Odinga promises low cost of living. #10MillionStrong UHURU MUST GO!! that was the slogan at Jacaranda as Odinga promises low cost of living. 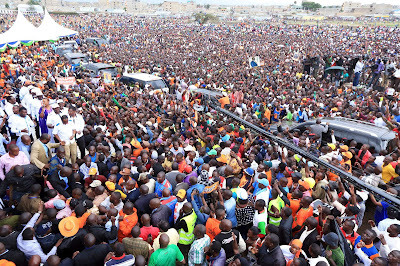 NASA flag bearer Raila Odinga talked about Agriculture, Security, Rent, Basic commodities, life standard and strike due to low income through salaries in his speech at Jacaranda. 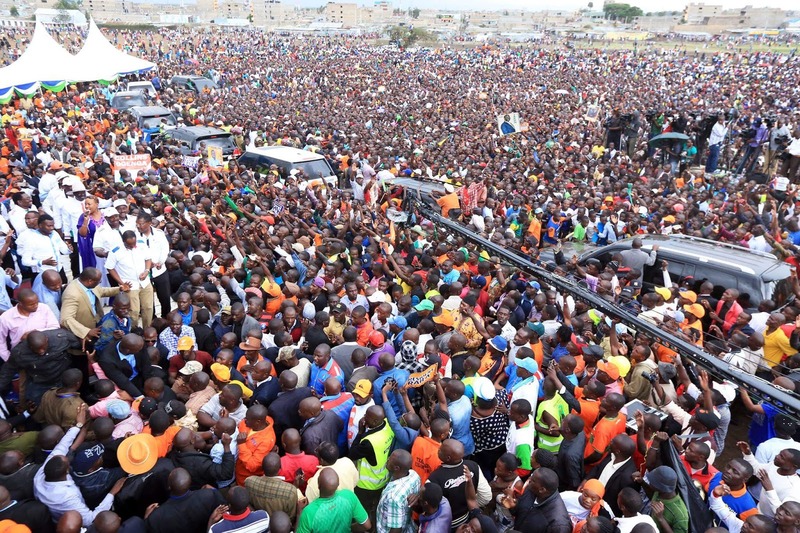 The NASA leaders urged Kenyans now to vote in Large numbers. All leaders present were emphasizing on the issues affecting Kenyans saying that they will change the country. As they were speaking, the crowd chanted "UHURU MUST GO !! UHURU MUST GO!! The youth disrupted the NASA presidential flagbearer speech as they were chanting. This seems the People of Nairobi are tired of the cost of living. The NASA flagbearer said that in the first 90 days the basic commodities will be reduced and inflation will be reduced only in one year. The opposition leaders claimed to have the solution to Kenyans where they are facing troubles of life. President Uhuru Kenyatta will submit his papers tomorrow and then have a rally at Uhuru Park. The Jubilee leaders now are preparing their supporters to attend the rally in fully force at the Uhuru Park tomorrow.